This week marks the seventh anniversary of our move to rural Fermanagh. It hardly seems that it’s been that long since my husband and I came to his family farm and I started to blossom into a country girl – though I think I may have a ways to go yet…So the surprise I had yesterday morning was pleasant and appropriate. When I stopped at the newsagent’s, on my way to work, I opened Ireland’s Own magazine and saw my story, Going Home, printed in this week’s issue. The story is about a Canadian woman who realises that Ireland has become her home. The editor couldn’t have timed it better! 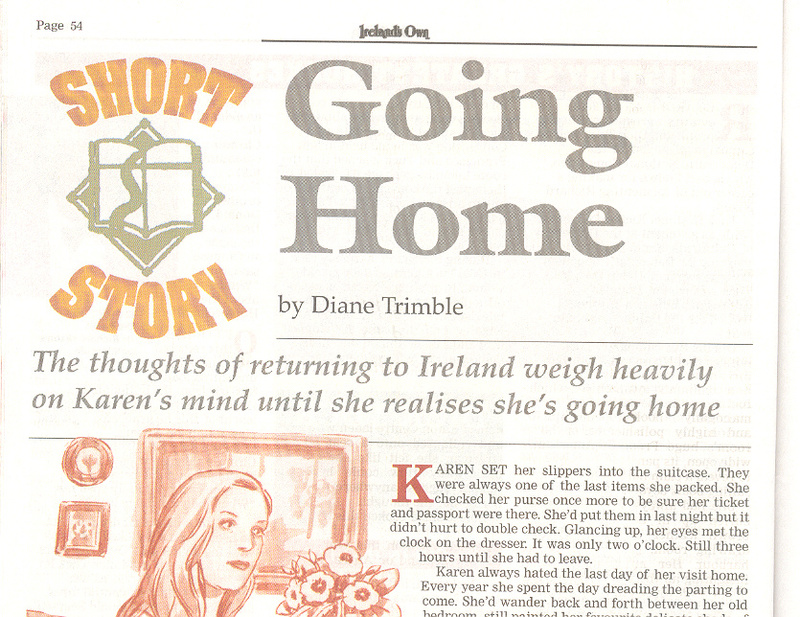 This entry was posted in September 2010, Uncategorized and tagged Dianne Ascroft, Dianne Trimble, Going Home, immigrants, Ireland, Ireland's Own, short stories. Bookmark the permalink.